Break, share, and unwind, perfect for sharing with friends and family. Suitable for vegetarians. Kosher - KLBD. 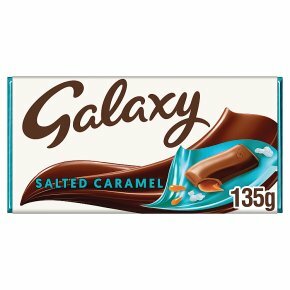 Perfect for sharing with friends and family- Smooth and creamy Galaxy chocolate with luxurious salted caramel lovingly created to melt in your mouth.